WS Pavilion, Community Room A. 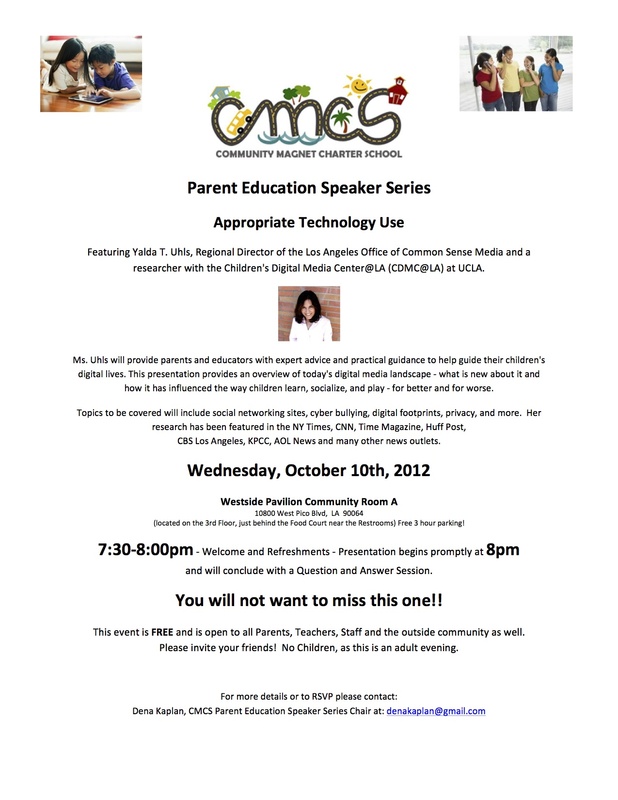 This entry was posted in Announcements, Seminars and tagged appropriate screen time, children and technology, parent ed, parenting, technology by gomama. Bookmark the permalink.